On the morning of 22nd January 2017, as the sun rose, teams from 23 B-Schools from across India braced themselves for an ultimate test of their marketing acumen, wit and adaptability. 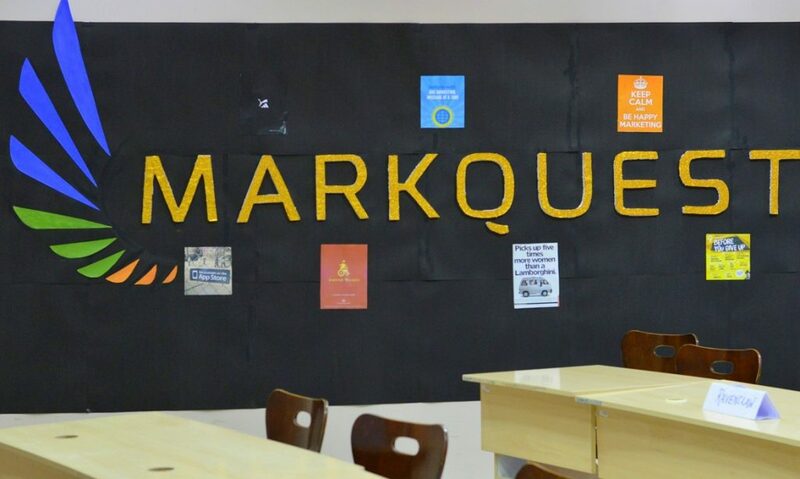 Vanguards from IIM Trichy, Goa Institute of Management, SCMHRD Pune to name a few were all set to battle it out for Markquest – the marketing event of Revelation 2017 – the annual management and cultural fest of SIBM Bengaluru. The event commenced with the first round – ‘Brandboozled’, in which teams were required to tweak the allotted brand logos as per the future projection of the company’s strategy 10 years from now, keeping the essence of the brand intact. This round saw the teams coming up with some crazy ideas, such as Dabur Airlines, Adidas Space Rockets (yes, you read that right!) and so on. This was followed by the ‘Elevator De-pitch’ round, in which participants were required to de-pitch necessities like salt, trousers etc. to a judge in an elevator. This round sought to reverse the popular concept of an elevator pitch and test the de-selling abilities of teams for a change. This was proceeded by rounds like ‘Marketing Mime’, ‘Dystopia’, ‘Guerrilla Marketing’ and ‘Sell-a-thon’, each of which not only tested the knowledge of marketing concepts but also creativity, convincing skills and ability to handle stress. The final round was a case analysis round, based on a real business scenario being faced by Dineout – the official sponsor of Markquest. Teams presented their case presentations to Mr. Yash Chopra – South Zone Head, Dineout and Mr. Dominic Coelho – Marketing Head, South Zone, Dineout. Team ‘Walkie Talkies’ from SCMHRD were adjudged the winners, while Team ‘Azure Dragons’ from Vanguard Business School finished as the runner-up, driving home prices worth Rs 30,000.